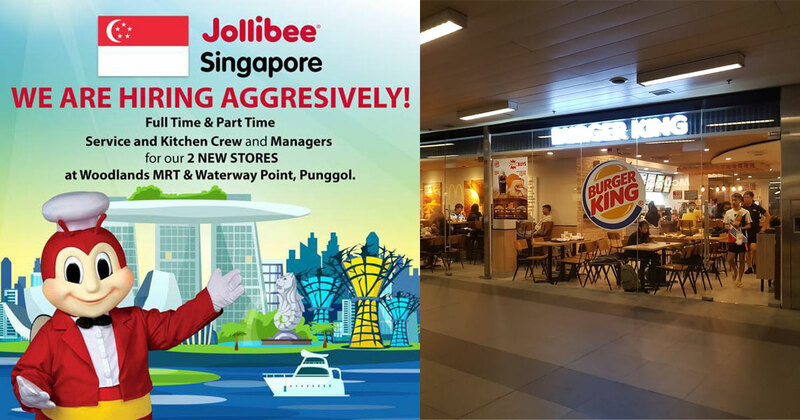 Looks like Jollibee is doing well in Singapore. 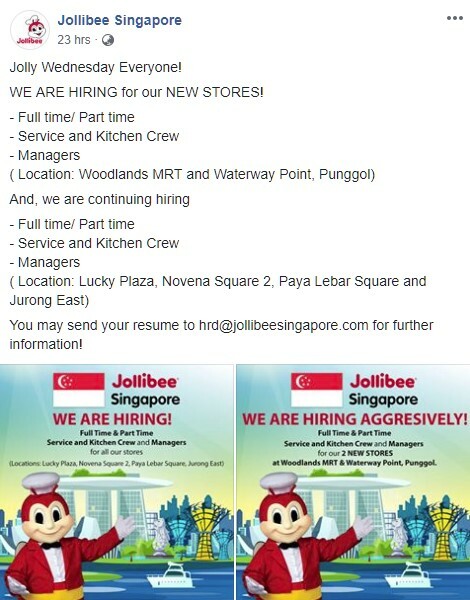 A day after Burger King announced its Woodlands MRT closure in end-March, Jollibee Singapore put up a hiring post on their Facebook page, saying they are now hiring full/part-time managers, service and kitchen crew for the same location as well as in Waterway Point, Punggol. 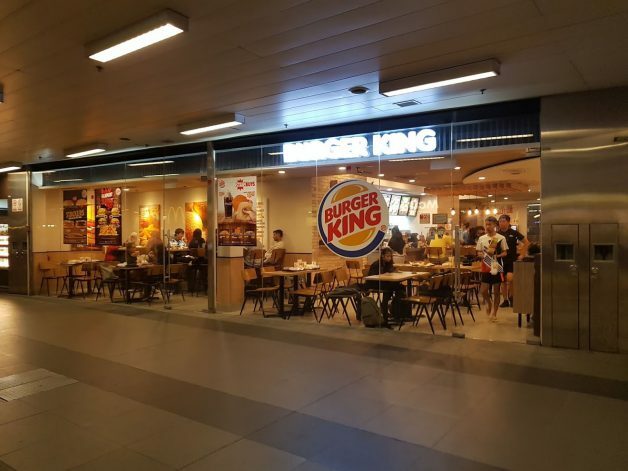 Which likely means Jollibee will be taking over Burger King’s outlet after their departure. Jollibee will reportedly open their Woodlands MRT store sometime in May this year while details on Waterway Point store’s opening date has not been revealed yet. 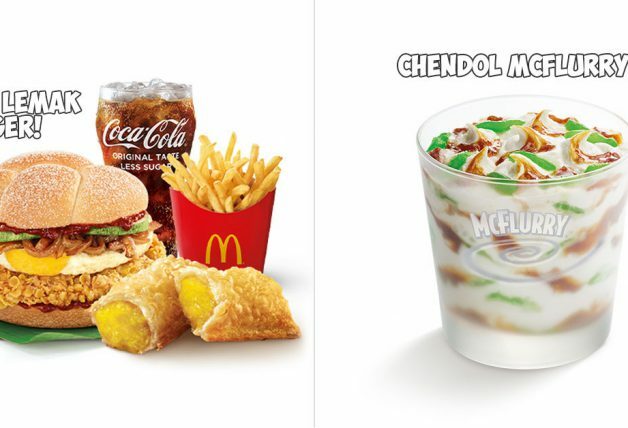 Jollibee is a Filipino multinational chain of fast food restaurants with about a total of 1,200 outlets worldwide. 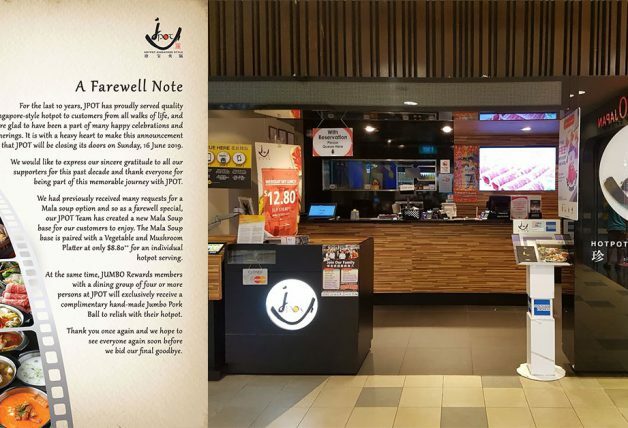 Popular items on the menu include the Chickenjoy, Yumburgers, and spaghetti. 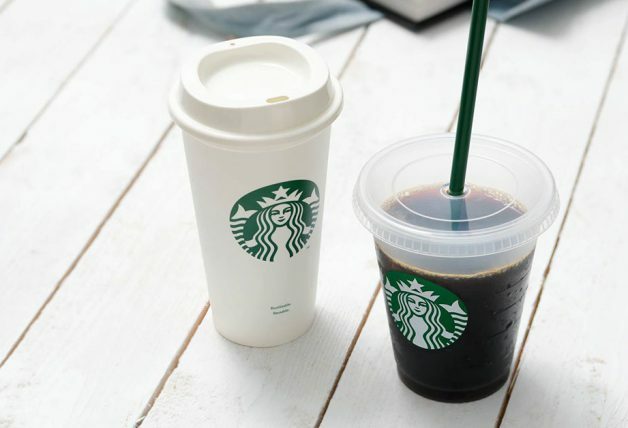 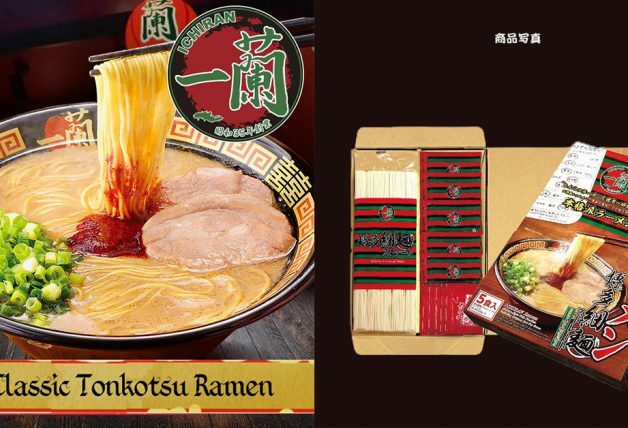 They currently have 6 stores in Singapore located at Paya Lebar Square, Changi City Point, Square 2 (Novena), Jurong East MRT Station and 2 in Lucky Plaza (level 6 and B1). 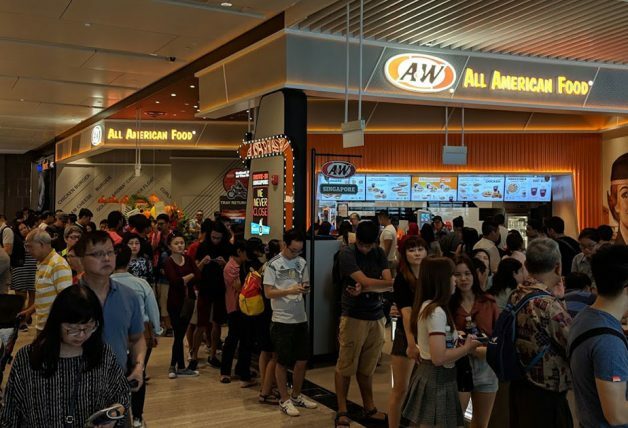 In 2017, Jollibee’s president Dennis Flores told Straits Times they will open at least 15 more outlets in Singapore in the next few years.